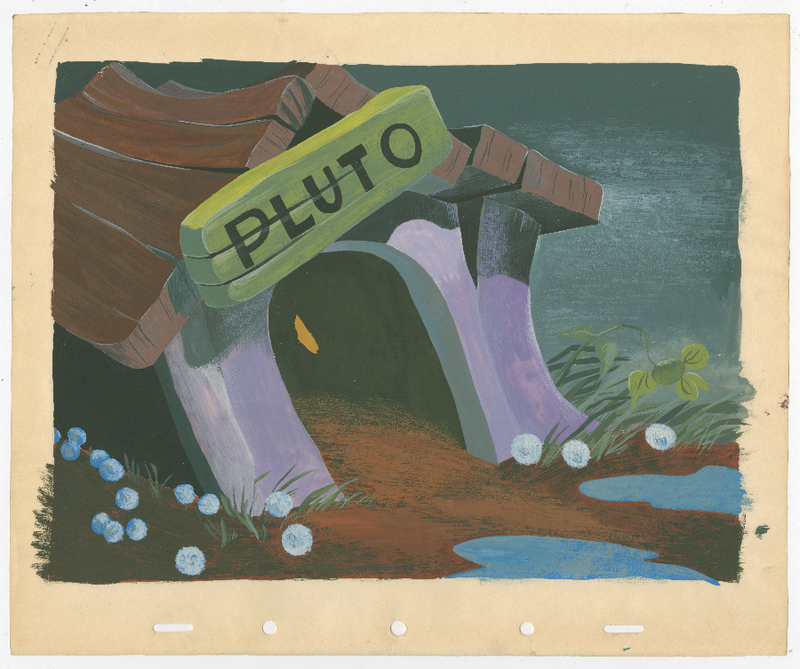 This is an original model cel and hand-painted preliminary background from the Walt Disney Studios production of Springtime for Pluto (1944). 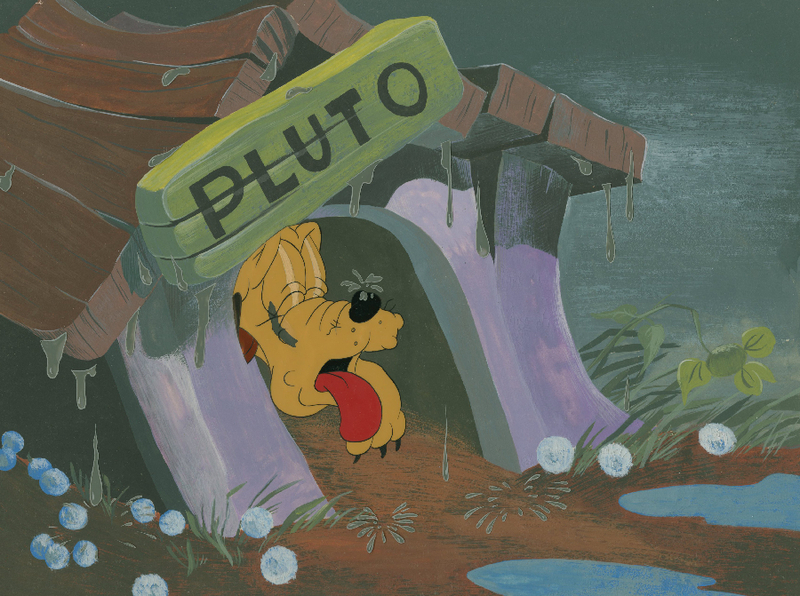 This cel features a very sad Pluto in his dog house, and was created at the studio and used during the production of the short to test the colors of the characters and the backgrounds, and how the two layers would look together on film. 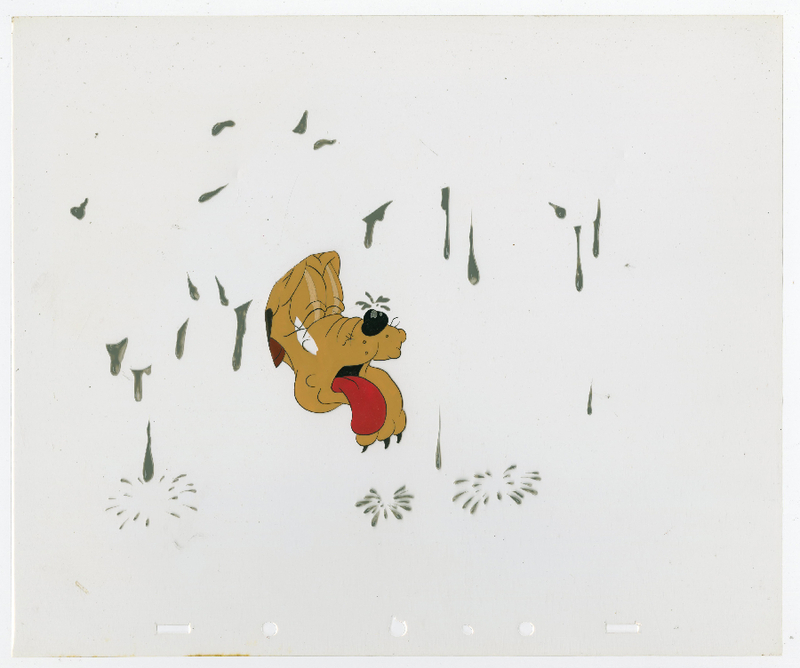 The overall measurements of the piece are 10" x 12" and the image area measures 8" x 10.5". 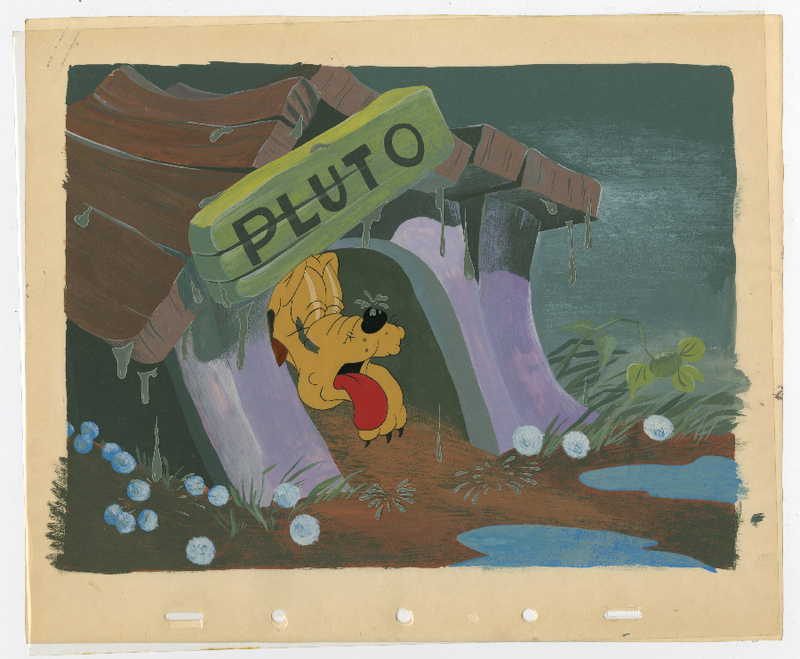 The cel is in good condition with some minor paint wear and loss, the background is in excellent condition.